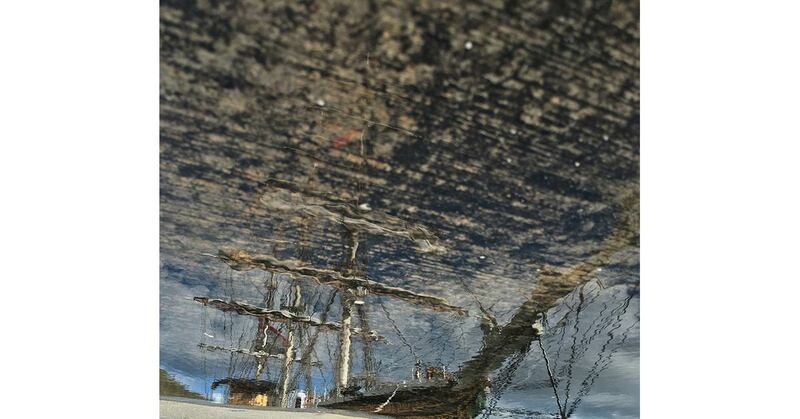 I shot this photo off a small puddle on the edge of a dock on the Dutch side of St. Maarten. This old ship was moored next to a cruise ship I was boarding. The underlying concrete had this great texture that helped create a ghostly effect that combined so intriguingly with the ship’s reflection.